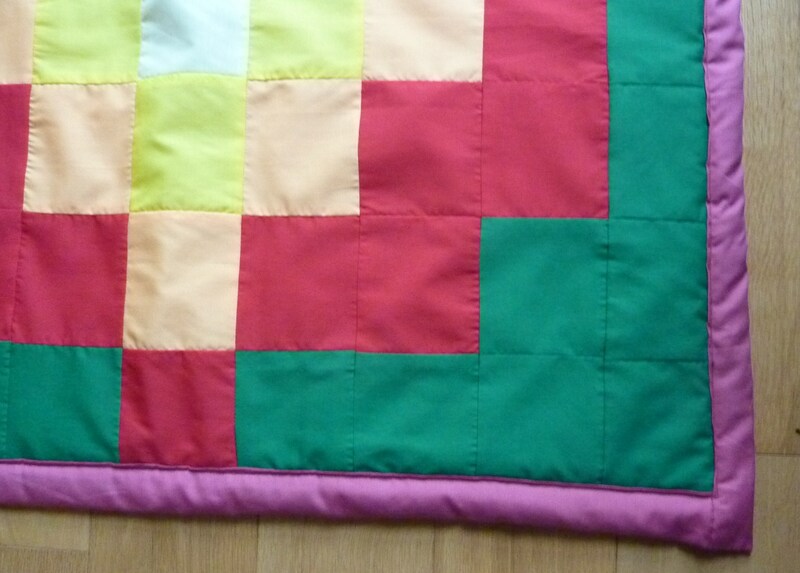 Even though I’ve been making lots of knitted baby blankets in recent years, I also used to make smallish baby quilts. 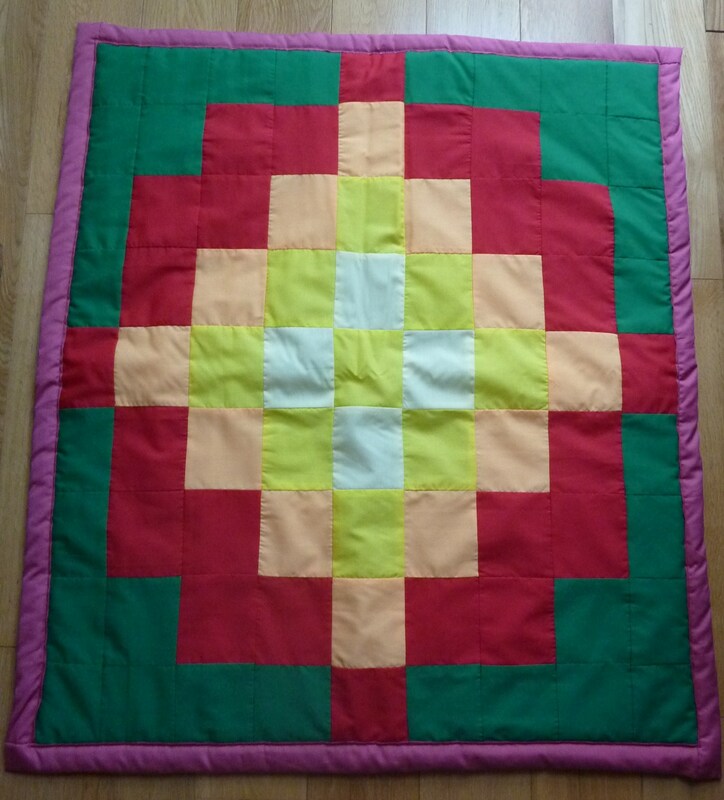 Although, I often don’t do any actual quilting, apart from some minor sections. 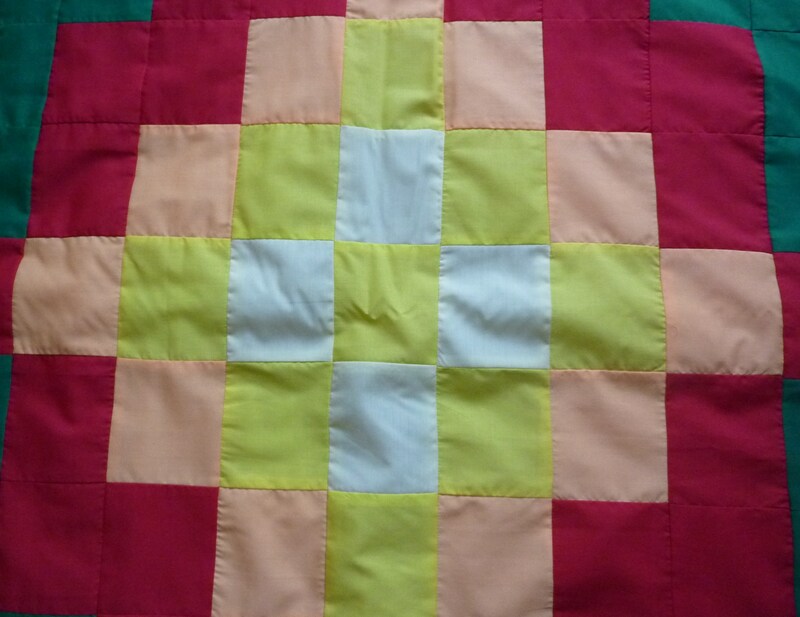 I prefer to patchwork the top and then chose a nicely coloured piece of fabric for the bottom, then in the middle I use some wadding to make it nice and soft. And even though I know that we’re having a little girl, I still decided to use a good selection of yellows, a nice red and green, with a nice pinkish bottom piece of fabric. It’s worked out well, and is nice and soft. This quilt brings my collection of blankets to three, a woollen one, a cotton one and this one. I think I should probably stop making blankets now, but they’re nice and easy to knit/make and I love the idea of being able to chose very different colours. 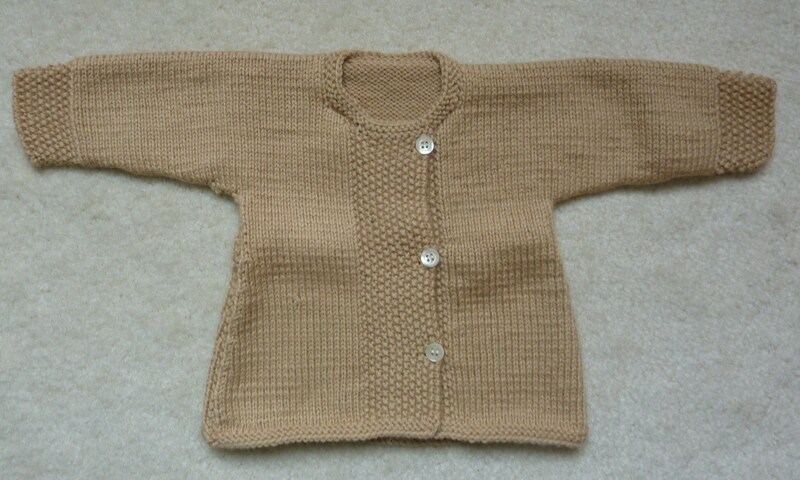 This little cardigan is one I made for my little one quite a while ago, before I knew whether it was a boy or girl, hence the unisex colour. Nonetheless, I think it’s a nice colour and the yarn means that the pattern on the front looks quite good. 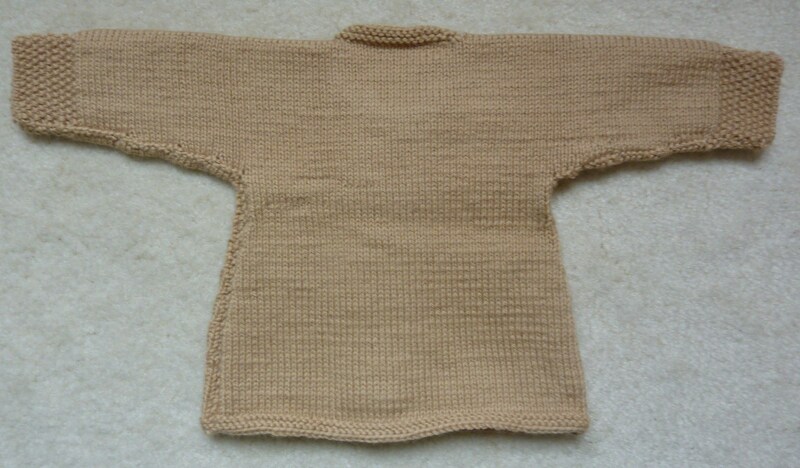 The pattern is one of the Garnstudio patterns, and it was lovely and easy to knit, especially as it was all knitted in one piece. I definitely recommend this to anyone who is at the start of their knitting career. I’m always really pleased to find a new easy pattern that practically knits itself, especially if it turns out to be such a cute finished object. I used some yarn from my stash, and was pleased that I had enough left over to finish the cardigan. 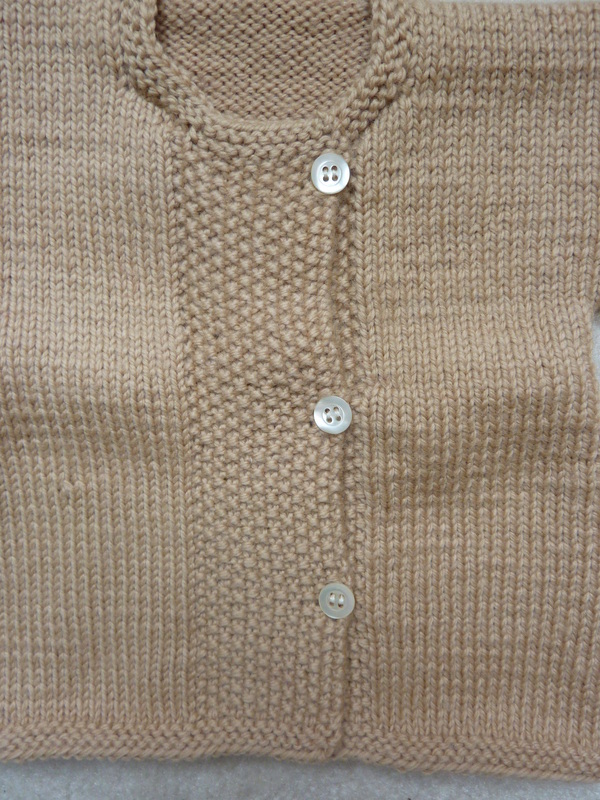 I particularly like the detail in the middle of the cardigan, with the moss stitch. And it was good to have some really nice mother of pearl buttons to finish it off. I think I might even make some other versions of the cardigan, in bigger sizes and different colours.